Network at the annual Black Wall Street Homecoming, which is the ideally located on Black Wall Street here in the Bull City. Black Wall Street Homecoming is a celebration of culture. Come to learn from the experiences of diverse, multi-cultural entrepreneurs, their investors, and the community that supports them. This valuable three-day event takes place in Downtown Durham on Wednesday September 26 at noon through Friday the 28th at 3 pm. Greatness has been achieved in Durham, North Carolina by black business leaders, musicians, scientists, civil rights activists, athletes, and many others. Greatness continues to flourish today and at this annual conference for early-stage entrepreneurs, that is focused on the intersection of content, connections, and culture. Listen to inspiring and game-changing talks from experts in the industry. Learn from attending workshops and panels packed with actionable advice. Take advantage of networking opportunities to reconnect with familiar contacts and make new ones. Gain access to investors who will be available to educate you about their investment criteria and to answer your questions. This is for you. You don’t want to miss this exciting event. All are welcome here in Downtown Durham. 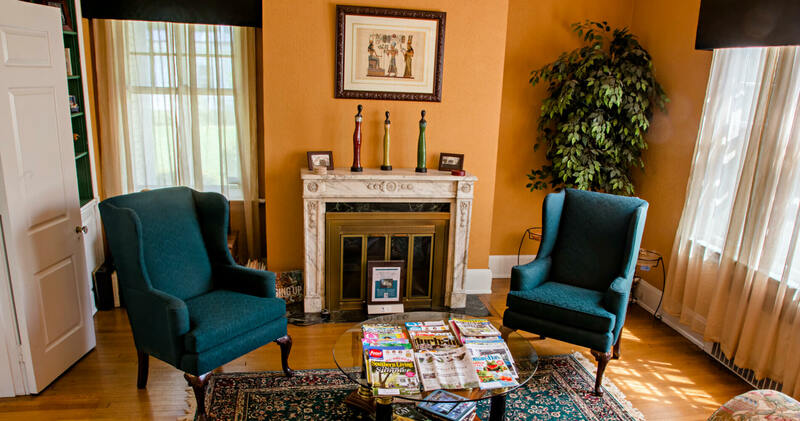 Those attending the Black Wall Street Homecoming are welcome guests at Morehead Manor Bed and Breakfast, which has been featured in Black Enterprise magazine. For over twenty-one years now, owners and innkeepers Monica and Daniel Edwards continue to host bed and breakfast guests. 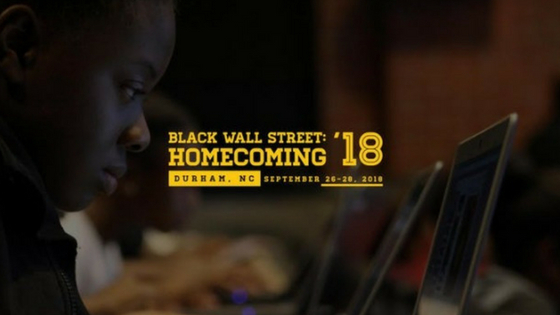 Email questions about the Black Wall Street Homecoming to (contact@bwshomecoming.com). Follow them on Twitter (@bwshomecoming), Facebook (@blackwallstreet), and Instagram (@black_wallst). Below is a YouTube video of an interview with a successful entrepreneur who will be attending the Black Wall Street Homecoming again this year. This entry was posted in Events and tagged Black Wall Street Homecoming by admin. Bookmark the permalink.